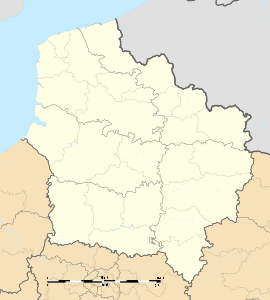 Fignières is a commune in the Somme department in Hauts-de-France in northern France. The commune is situated on the D135 and D41 road junction, some 22 miles (35 km) southeast of Amiens. Wikimedia Commons has media related to Fignières. This page was last edited on 14 January 2019, at 20:13 (UTC).